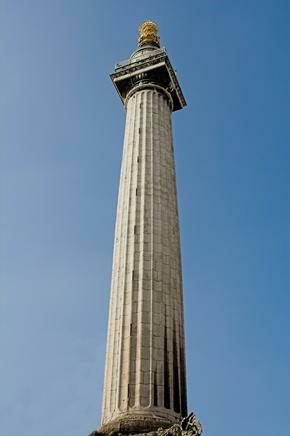 The Monument is an impressive flame-topped stone obelisk which is one of London's most outstanding historic landmarks. It was designed by Robert Hooke and Sir Christopher Wren to commemorate the 1666 Great Fire of London which destroyed much of the mediaeval City of London which lay within the original city walls. The Monument stands 61.5 metres (202 feet) high, which is the distance from where the Great Fire first started at a bakery in Pudding Lane. Altogether the fire consumed 87 churches including St Paul's Cathedral, and over 13,000 thatched wooden houses. The Monument remains the tallest freestanding stone column in the world. 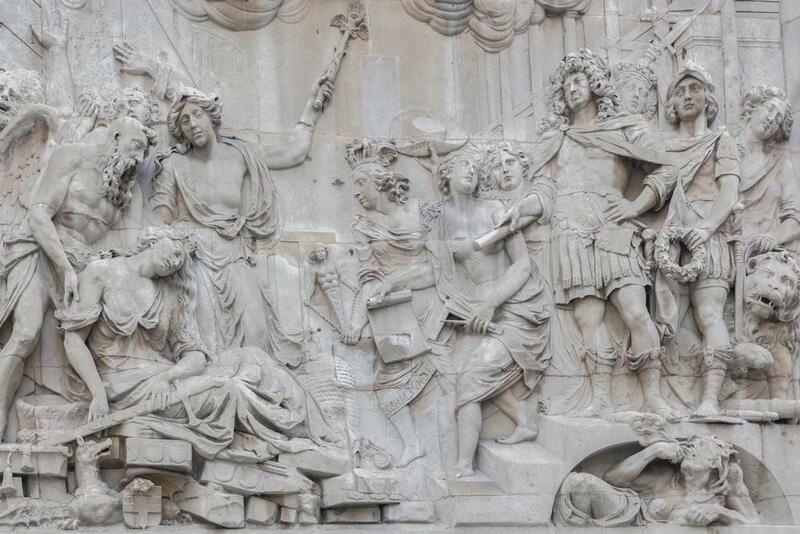 It was completed in 1677. It was designed by Sir Christopher Wren, the Surveyor General to Charles II, along with Dr. Robert Hooke, his colleague and friend. The Monument consists of a Roman Doric column with an inner staircase leading up to the viewing platform. On top of the monument is a golden urn with symbolic flames emerging from it. 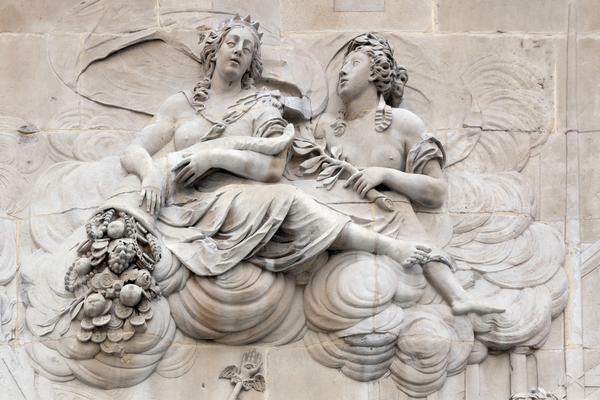 The fluted column is made of Portland Stone, like many other London buildings such as Buckingham Palace, the British Museum and St Paul's Cathedral. Three sides of the base have Latin inscriptions giving details of the Great Fire of London. Originally there were inscriptions blaming the Roman Catholics for the blaze, but these were removed by chiseling them out in 1831. 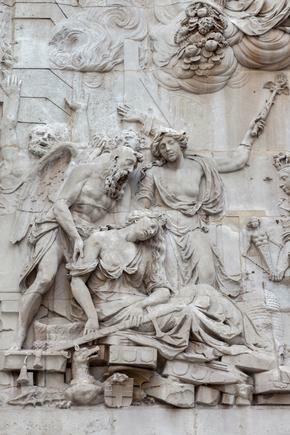 The fourth (west) side has a decorative emblem beneath which is a wooden door giving access to the interior of the Monument. 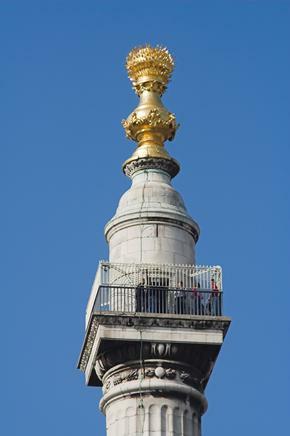 After a recent cleaning and refurbishment programme, which included regilding the fabulous golden decoration on top of the impressive column, visitors can climb to the top for wonderful views from the gallery. For those who do not want to toil up 311 steps to the top, views from the observation deck are relayed live to a video screen at ground level. Every year 100,000 visitors climb the steep spiral staircase to the top to experience the panoramic views across the city including the nearby Financial District. 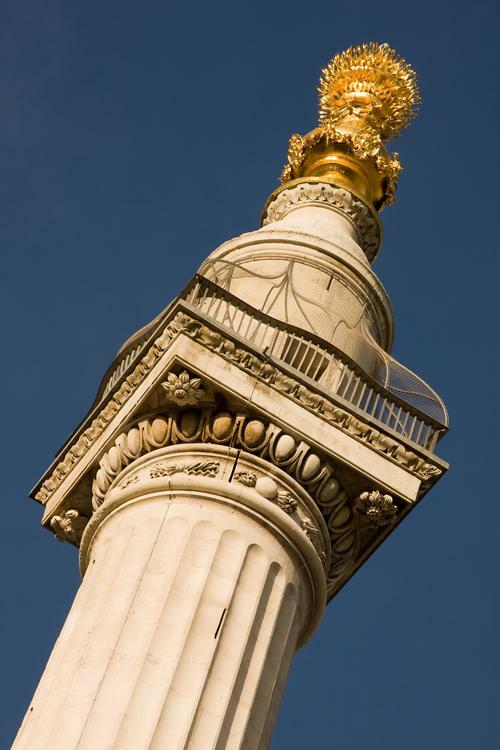 Initially the Monument was used by the Royal Society for carrying out various experiments relating to gravity, barometric pressure and pendulums. It was designed to hold a zenith telescope for measuring star positions.b However, even in the 17th century, the streets were crowded with horses and carriages which caused too much vibration. The Monument was then used as a site of historic interest and became popular as an observation gallery for the public to enjoy far reaching views from the 48 metre (160 foot) high platform. It was used for several suicides between 1788 and 1842 so a cage was added for safety. You will find the Monument situated on the junction of Monument Street and Fish Street Hill, close to the north end of London Bridge in central London. 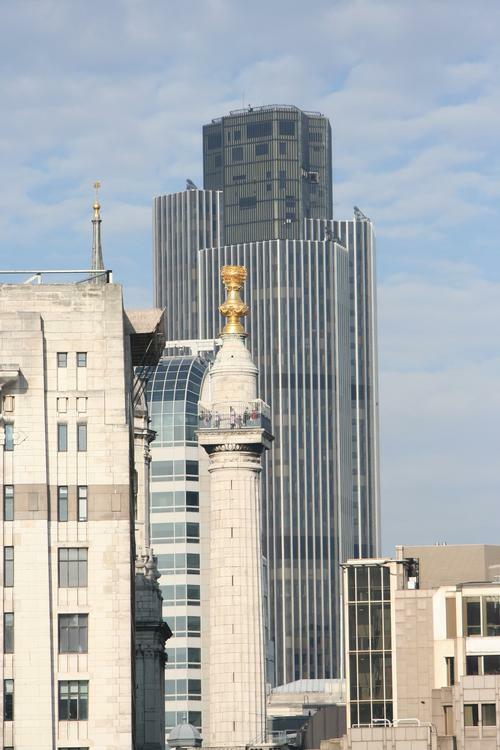 It is easy to reach from the Circle or District Line and the nearest Tube station is the Monument. 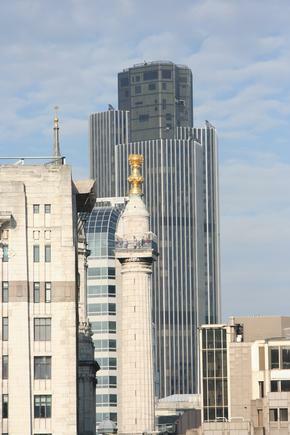 Admission is very affordable compared to other more modern observation points such as the Shard and the London Eye. Adults £4; concs £2.70; children (under 16s) £2. The Monument is located at the junction of Monument Street and Fish Street Hill. Use bus numbers 17, 521, 21, 43, 133, 141, 48, 149 (all routes through London Bridge). The nearest car parks are: Q Park (Tel 020 7248 5874) Bucklesbury House, 4 Wallbrook, London EC4N 8DQ or Thames Exchange NCP (Tel 020 7248 6089), Bell Wharf Lane off Upper Thames Street, London EC4R 3TB.